The tour started at 3PM with the group assembled at the gate of Fort Santiago. The sky was overcast and the rain threatened to pour but the group pushed ahead and started with the tour. 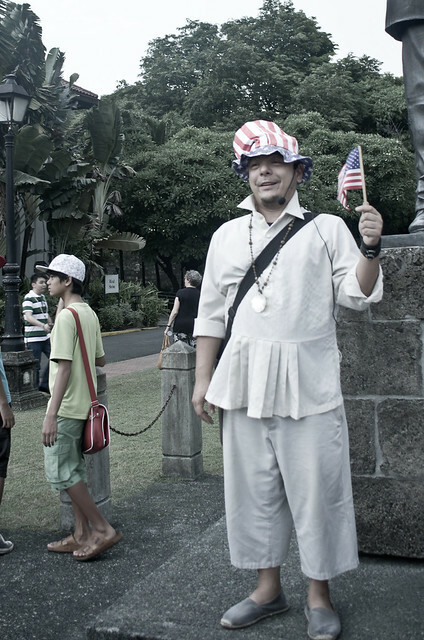 Armed with a huge clear book of photos, small flags, an assortment of top hats, a wireless microphone strapped to his waist, and his theatrics, Carlos Celdran led the group by shouting "Walk this way!" for everyone to hear. The details Carlos mentioned in the tour are not new to us. We all have been taught in school that we were under the Spanish regime for more than 300 years, followed by the Americans for more than 40 years, and lastly, by the Japanese for 3 years. Only, he told it in such a way that one will be able to truly understand why we ended up the way we are now. He discussed the highs and lows during the times that we were colonized, from the 300 stagnant years under Spain to the glorious days of Manila during the American regime down to Manila's destruction during World War II. I don't remember learning in school that Manila was the second most devastated city during WWII, next to Warsaw. Being the gateway to the east and the west, our role as a collateral damage was set early on. With Carlos' hushed grave tones when he discussed the events during WWII, and with the ambiance that a dark theater provided, I could not help but feel sad. I remembered the Minsan May Isang Puta article that went around the internet telling the story of a whore that in the end signified the Philippines. 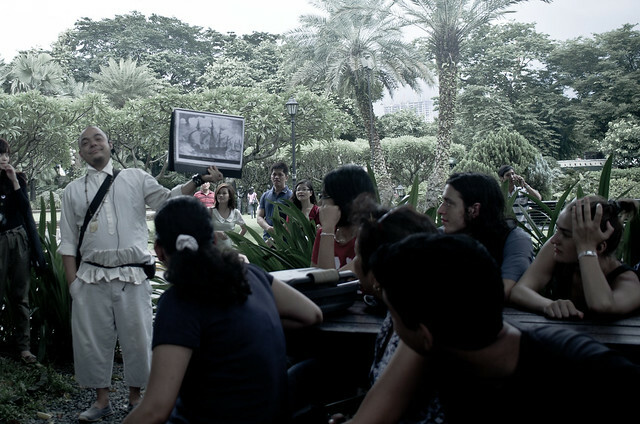 The group spent time going around Fort Santiago, with Carlos making references to the nearby Manila Cathedral as well as Luneta. 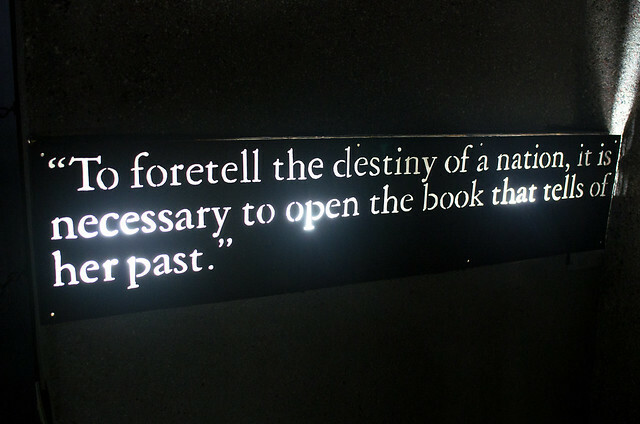 He also briefly touched on the topic of Andres Bonifacio vs. Jose Rizal as a national hero. For the last leg of the tour, everyone took the kalesa to visit San Agustin Church. Our kalesa driver was a tourguide in his own right as he pointed the old locations of Ateneo, UST, and PMA in the Walled City. The myriad of Western, Chinese, and Hispanic cultures is our culture. Much like the dessert halo-halo, we are a mix of everything. The tour was ended with a glass of refreshing halo-halo handed out to everyone. Truly, I shall never look at Manila the same way again. For inquiries and tour schedules, visit Carlos Celdran's Walk This Way blog here. It is also interesting to know that Intramuros before it became the walled city is the seat of power of Lakan Dula. Some say that if we excavate Intramuros we'd find the remains of the Kingdom.